Get organized. 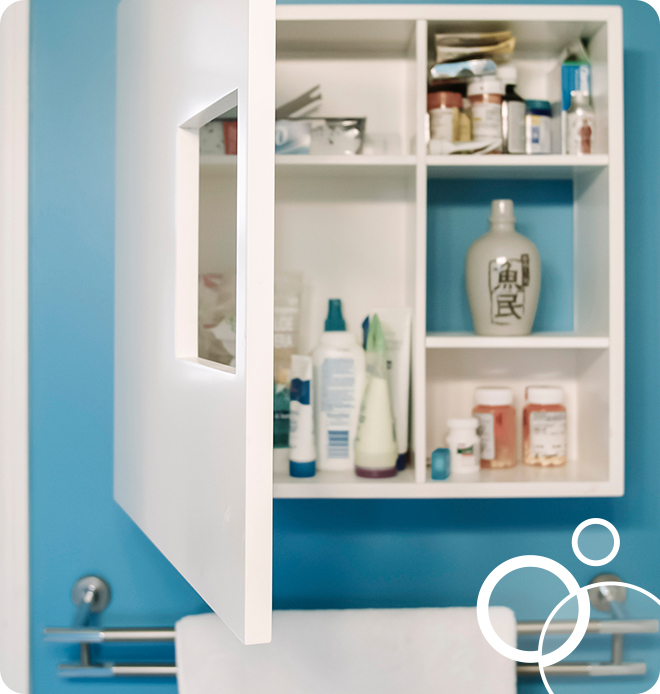 If your bathroom often resembles a jumble sale, it might be worth investing in a few elegant, yet simple and inexpensive organizing solutions. Think wooden drawer organizers, canvas totes, shower caddies, and the like.